ਨਆਰਾ: "Te Mauri, Te Raoi ao Te Tabomoa"
↑ "Kiribati government website". 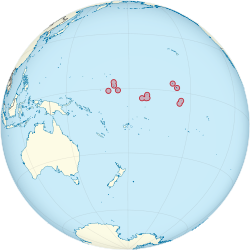 Government of Kiribati. Retrieved 24 Jun 2010. ↑ 2.0 2.1 2.2 2.3 "Kiribati". International Monetary Fund. Retrieved 19 April 2012. 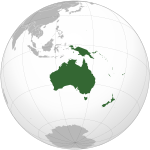 ↑ "kiribati - Definition from the Merriam-Webster Online Dictionary". M-w.com. 25 April 2007. Retrieved 14 May 2010. ↑ New Oxford American Dictionary 3rd edition © 2010 by Oxford University Press, Inc.
↑ "Kiribati: 2011 Article IV Consultation-Staff Report, Informational Annexes, Debt Sustainability Analysis, Public Information Notice on the Executive Board Discussion, and Statement by the Executive Director for Kiribati". International Monetary Fund Country Report No. 11/113. 24 May 2011. Retrieved 4 October 2011.